Throughout history, many cultures have experienced the effects of verifiable healings, along with hexes, curses, witchcraft, voodoo and other mysterious phenomena. These effects - many of which were elicited by unscientific means - were brought about by the beliefs and lore of the society. Even today, pharmaceutical companies use double- and triple-blind randomized studies in an attempt to exclude of the power of the mind over the body. 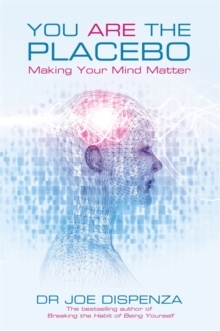 In You Are the Placebo, Dr Joe Dispenza explores the history, the science and the practical applications of the so-called placebo effect. The many amazing cases studies will empower you to personally use 'the expectation of a particular outcome' to alter your internal states - as well as external reality - solely through the action of your mind. This book offers the necessary understandings to change old beliefs and perceptions into new , and teaches a model of personal transformation that correlates with the placebo effect, without the need for any external influences.